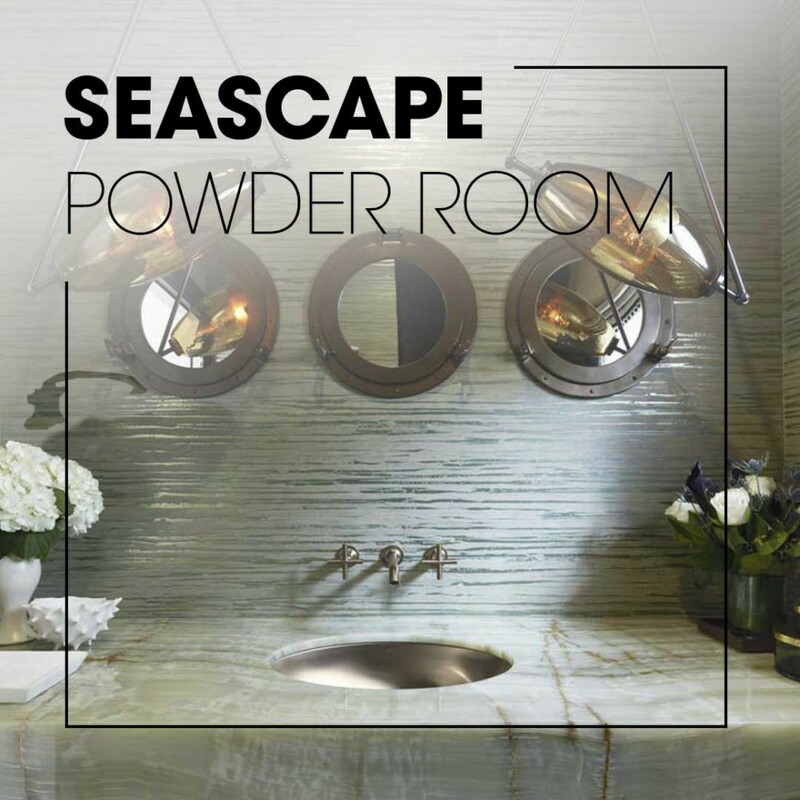 The 2018 San Francisco Decorator Showcase landed in the Marina District not with a whisper but a clear shout. 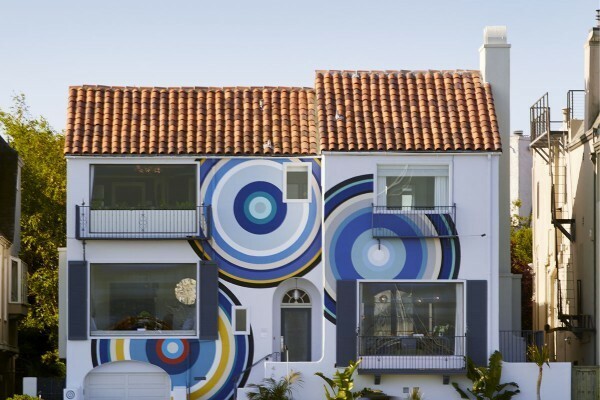 The eye-catching bullseye mural on the exterior of this 1930s Spanish Revival home practically beckons passerby to come explore the wonders that must be waiting inside. 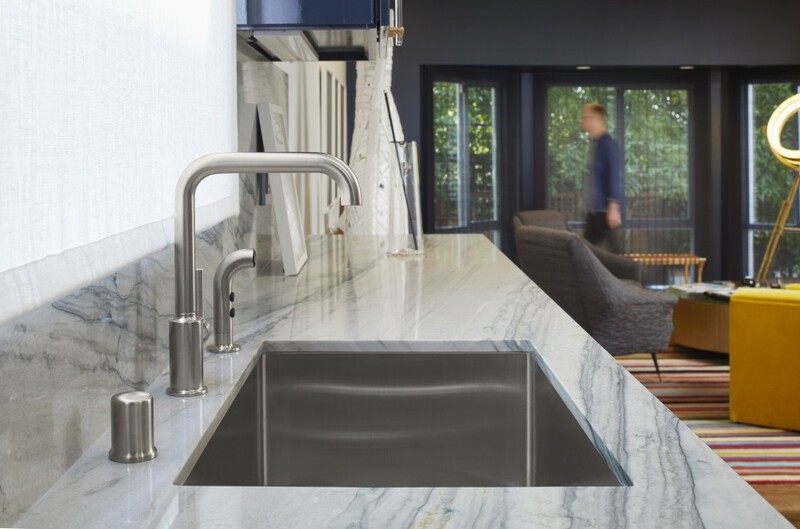 This year, dozens of top West Coast designers were tasked with transforming a blank canvas into a home that displays the freshest trends and the most innovative design techniques. 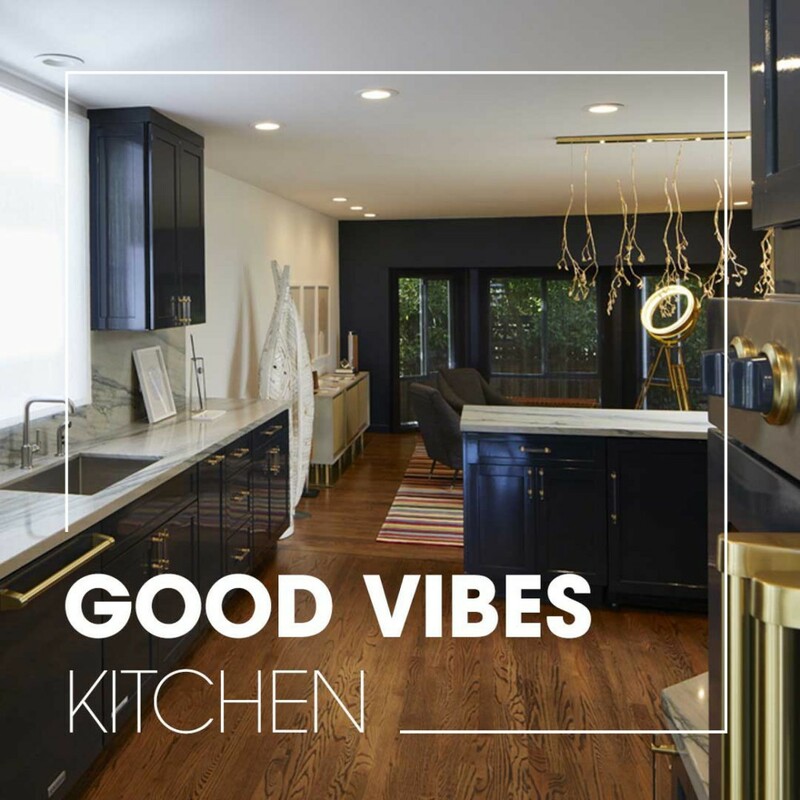 This standout event of the season shows the beauty of architecture and design all in the name of raising funds for children’s education. Mead Quin designed the terrace to be a warm and inviting place to connect with nature. 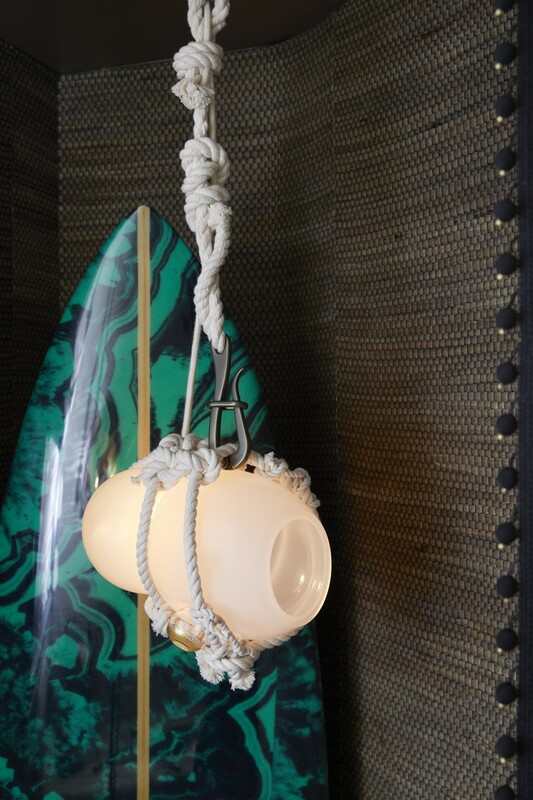 A total of twenty-three designers were assigned an entire room and given carte blanche to spread their creative wings. 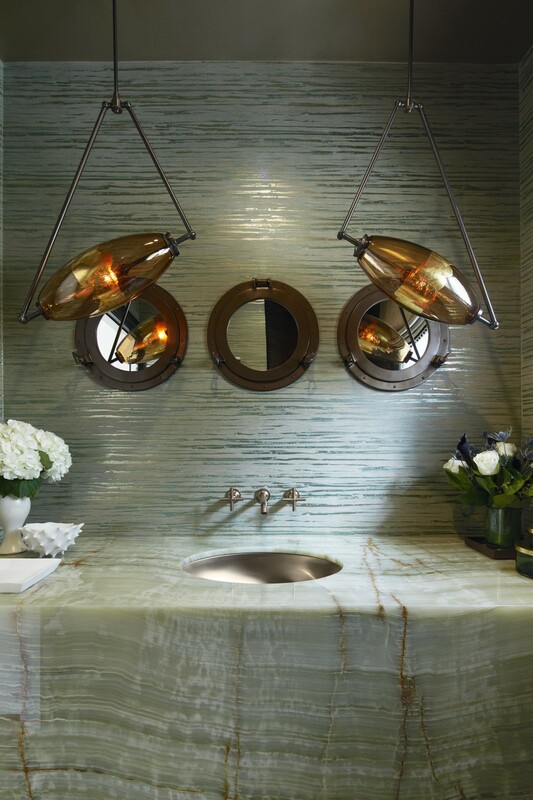 While each designer brings a unique perspective and aesthetic to their respective spaces, it’s clear that being across the street from the iconic Marina had a large influence on the décor and landscaping of the home overall. 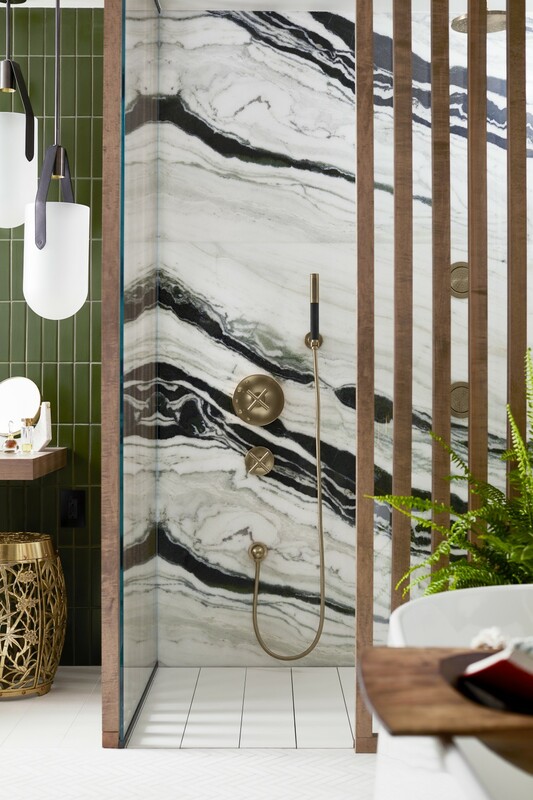 From shades of blue colors to calming natural elements like greenery or oceanic overtones, discover the trends that emerged from this year’s stunning exhibit. 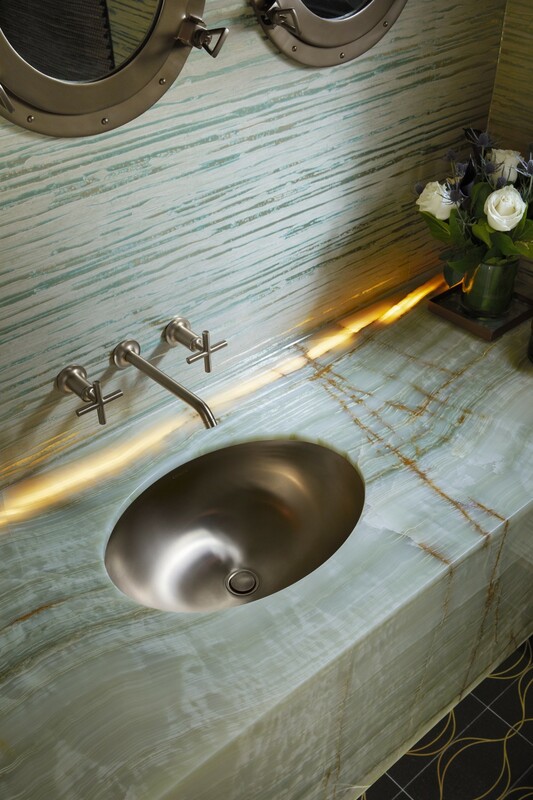 Unexpected surprises appear at every turn in Stephan Blachowski’s contemporary “Above, the Garden Awaits” bathroom. Look up at the ceiling and awaken your senses with a hand-painted mural full of bright pops of color and playful floral details. 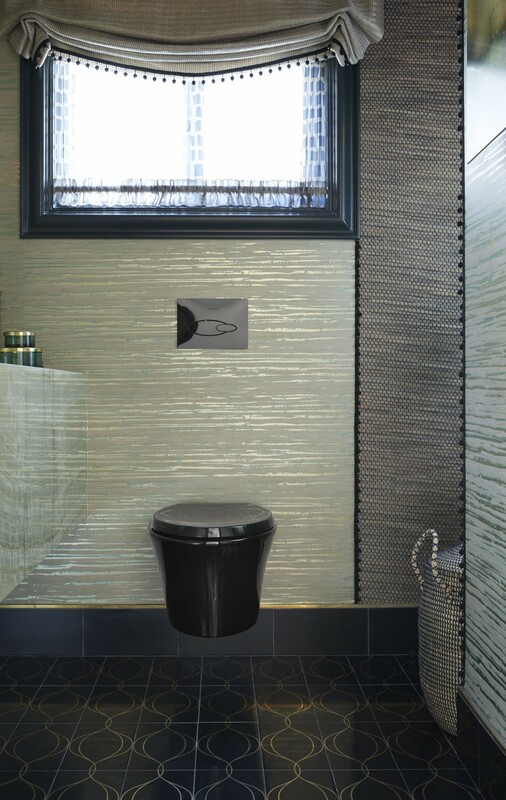 Wash your hands in the chic Vox Rectangle Bathroom Sink or delight in the ingenuity of the Numi Intelligent toilet. 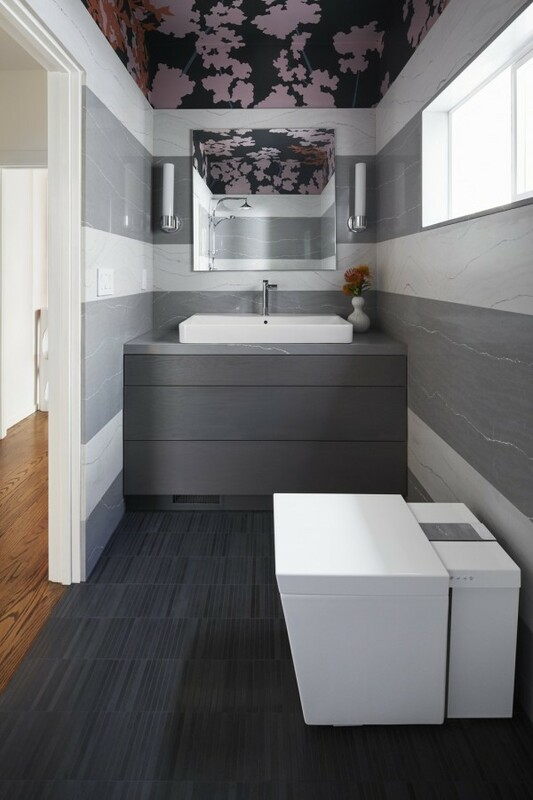 Let the neutral stripes and layered stone walls calm your mind or re-energize by listening to crisp music with the Moxie Shower Column. Whether above or below the surface, it’s clear that Blachowski’s design enchants the visitor and provides a meaningful experience for all who enter. 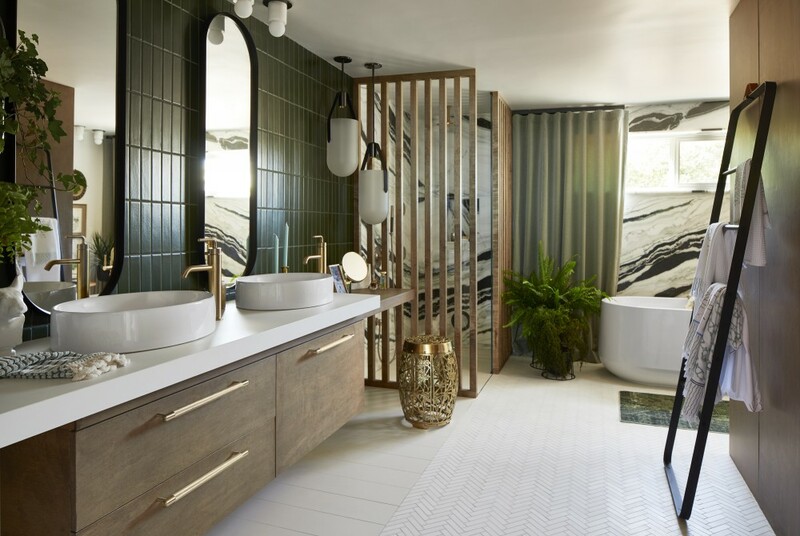 Adele Lapointe used bold tile finishes and natural elements like plants and wood partitions to bring depth and personality to this spacious master bath. 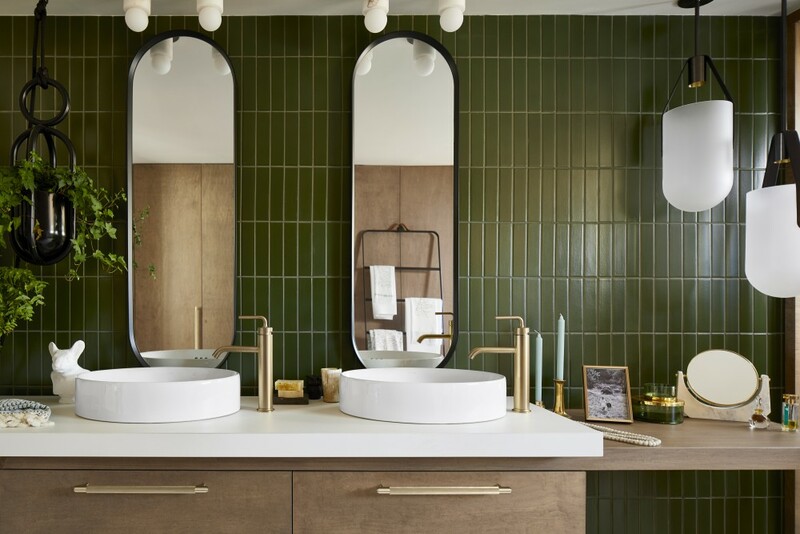 Deep hunter green hues balanced with the more delicate gold finishes of the Purist faucet and vanity hardware accomplish a space that’s perfect for relaxation. 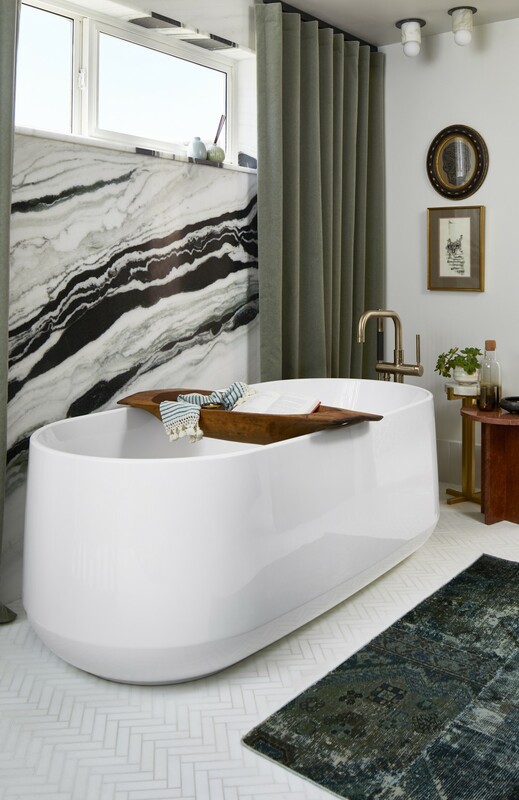 The curves of the Vox oval vessel sinks and the Ceric freestanding bath are unafraid to make a statement but nod to circular shapes easily found in nature. 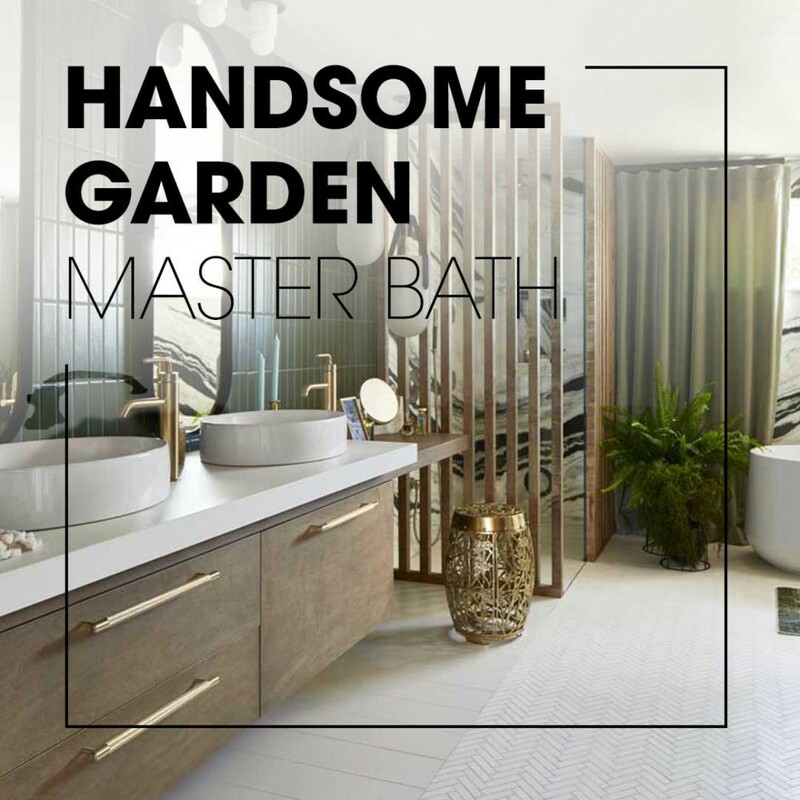 This interplay of soft shapes and moodier blues and greens illustrates how this “handsome garden” blends the masculine and feminine to devise a bathroom that gives anyone room to breathe. 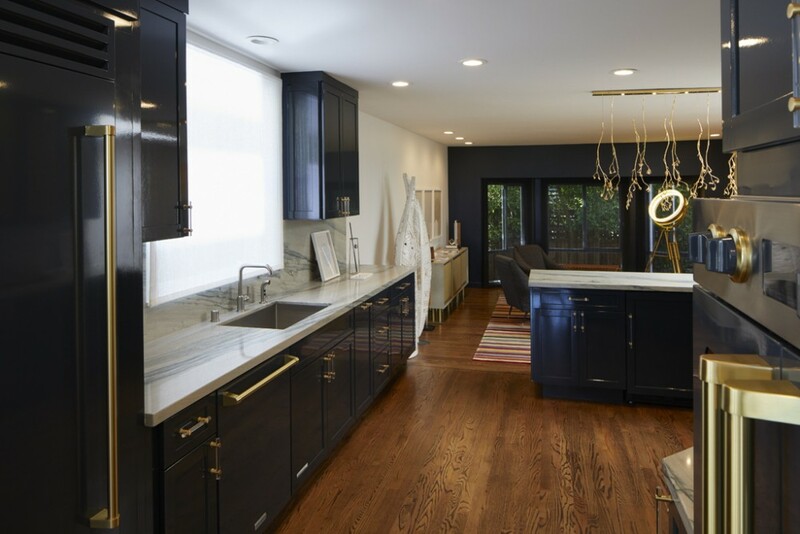 Ian Stallings’ kitchen design illustrates how one bold color story can cultivate a space that’s buoyant and bright. 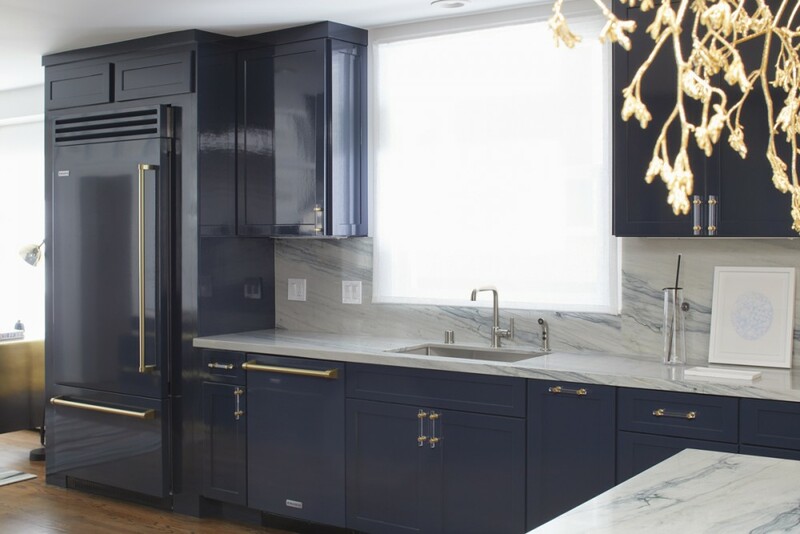 Not only did he paint the cabinetry a buttery shade of navy blue, but all of the appliances were custom made to fit into the color scheme; the effect is a continuous movement, much like a wave washing over the entire space. 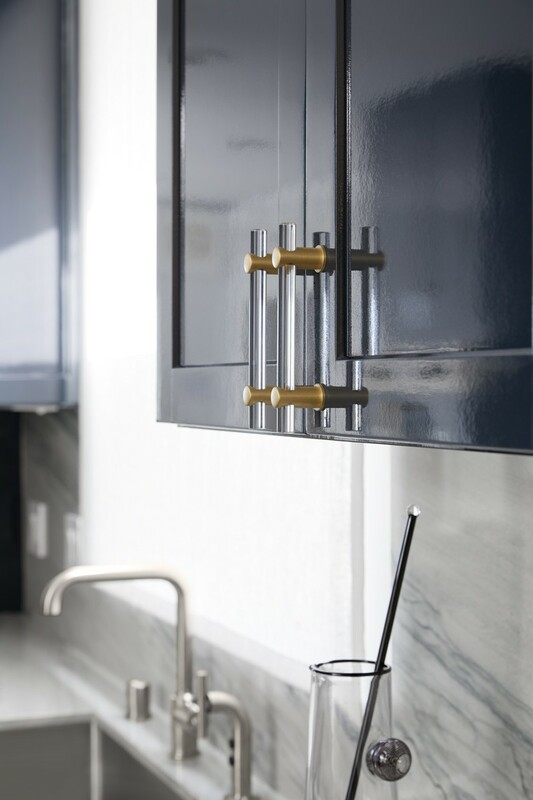 The gold hardware, Strive kitchen sink and Purist faucet add pops of metallic playfulness and is an expert example of how to mix metals without creating a clash. 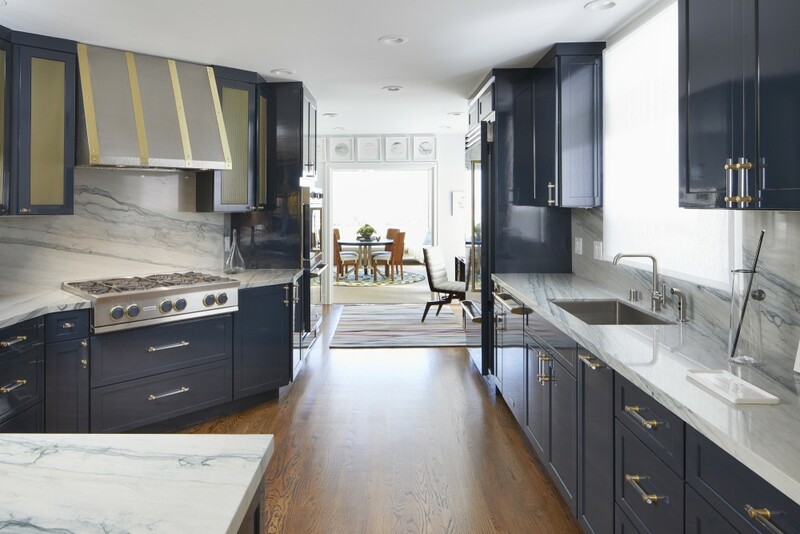 The kitchen leads into the family room with more bright, vibrant colors and textures to create a space where a family can come together and enjoy each other’s company.